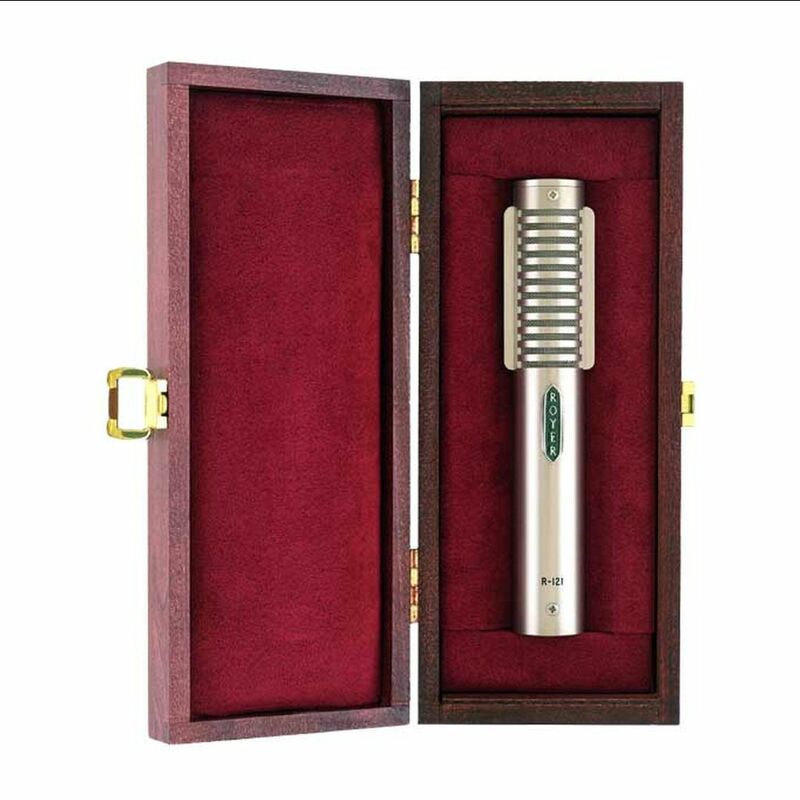 The R-121 is a thoroughly modern ribbon microphone designed for today's studio and live environments, exhibiting a flat frequency response and well balanced, panoramic sound field. Its ability to withstand 135 dB SPL @ 30 Hz makes it ideal for applications that were previously considered off limits to ribbon microphones. The R-121 was developed through relatively recent advancements in magnetics, materials and mechanical construction techniques. 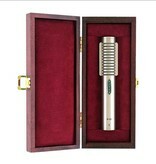 The ribbon element's smooth frequency response and phase linearity, coupled with sensitivity levels surpassing those of "classic" ribbons, make this microphone an ideal choice for digital recording. 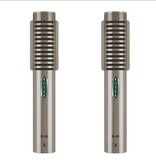 The R-121 delivers a consistent, natural acoustical performance with stunning realism. Widely used on electric guitars, brass instruments and drums, the R-121's figure-8 pattern also conveys superb ambiance and depth when used for room miking applications, orchestral and choral recordings. The heart of the R-121 is its low mass, 2.5-micron, pure (99.99%) aluminum ribbon element. The R-121’s unique, patented offset-ribbon transducer assembly incorporates rare earth Neodymium magnets in a specially designed flux-frame, which forms a powerful magnetic field while reducing unwanted stray magnetic radiation. 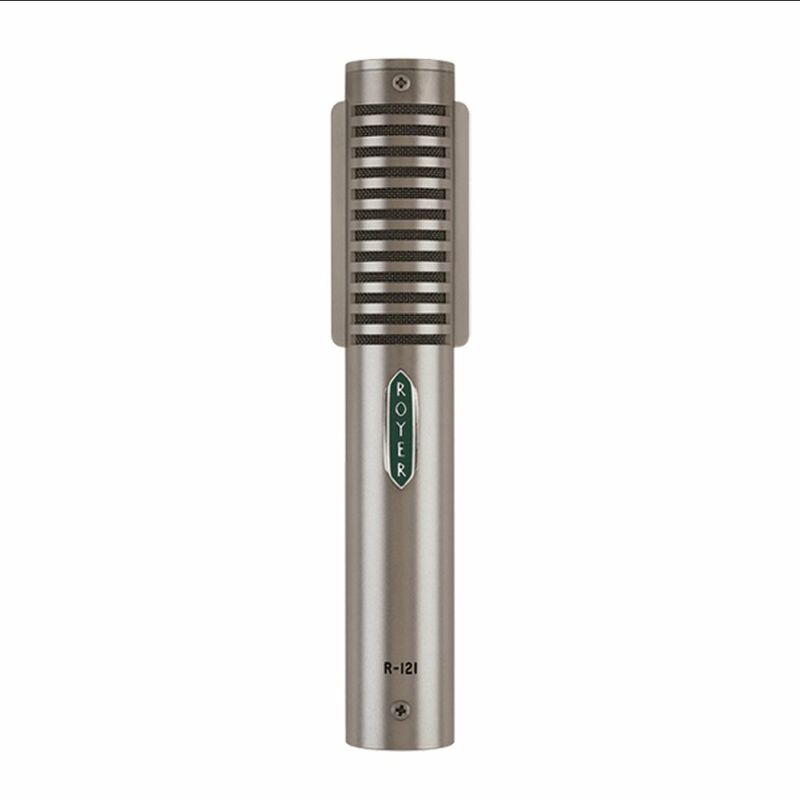 The R-121’s offset-ribbon design positions the ribbon element towards the front of the microphone body, which allows for higher SPL handling on the front (logo) side and the option of a brighter response when recording lower SPL sound sources on the back side (3 feet and closer; phase reversed in this position).